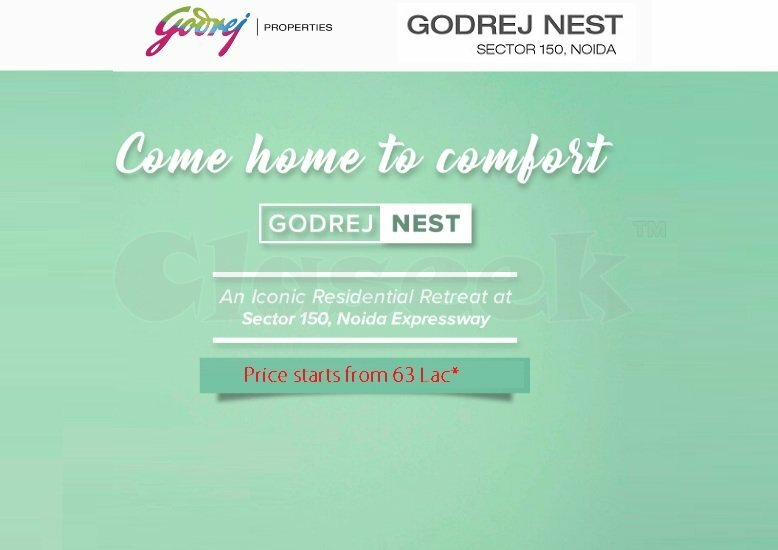 Godrej Properties a well-known builder of India, introduces Godrej Nest at Sector 150 Noida. The project is seamlessly awesome upcoming residential apartments of Noida. The famous architect has given their plan to make it greenery apartments at Noida Expressway. The project compared their amenities from other residential apartments in the locality. It has premium amenities for 2/3/4 and 4.5BHK apartments in high rise towers. The project combined normal and iconic tower at Noida Expressway. 1250 Sqft size for 2BHK, 1550 Sqft size for 3BHK and 2600 Sqft Size for 4BHK. 63Lac is all-inclusive price of 2BHK apartments where customers will get with unbelievable amenities.